Welcome to Elite Product Sourcing's Facebook Group. We specialize in helping Amazon FBA sellers to locate RA, OA and wholesale products to purchase & resell in various online marketplaces. From our free Facebook group to our premier sourcing packages we provide Amazon sellers with information, tips, videos & product finds to help you take your online business to the next level. We don't have wiki content for Elite Product Sourcing ( Facebook Group ) yet. Are you familiar with Elite Product Sourcing ( Facebook Group )? 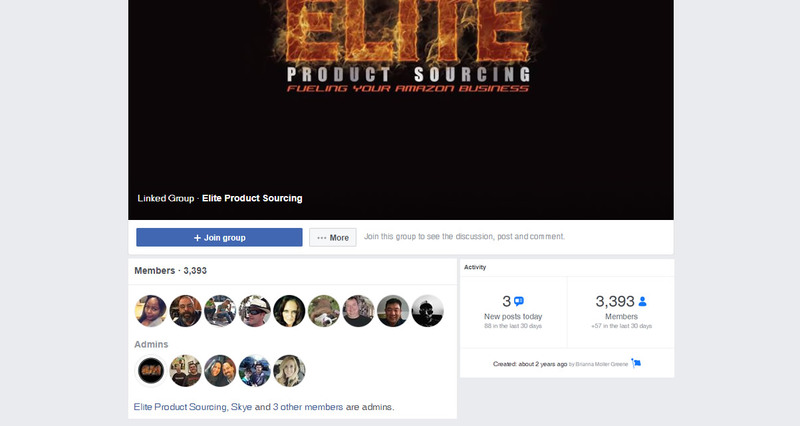 Please quickly share in your own words what Elite Product Sourcing ( Facebook Group ) is all about! Share in your own words what Elite Product Sourcing ( Facebook Group ) is all about.